From our welcome Mermaids to the fabulous Jellyfish Dance, this fully themed evening is a must for your function or event. Glamorous mermaids greet the guests whilst Bubble Girls mix and mingle. 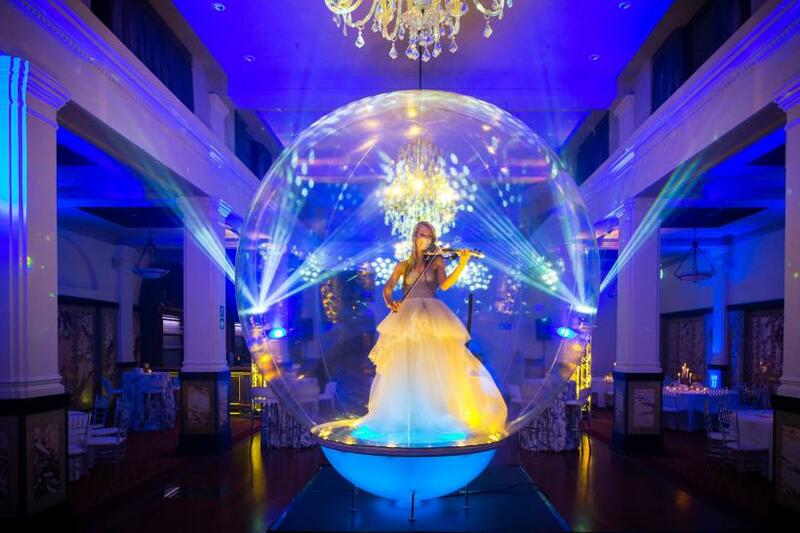 Our breathtaking musician in a Bubble centres the room as guests walk in. The stage show is filled with speciality- from the Jelly fish and ribbon dance, to our Themed Strength act, to our glamorous singer, dressed to the nines in aqua theme, this show is bound to get your guests talking!